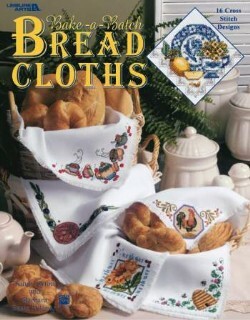 Enrich your mealtimes with these 16 wholesome breadcloths in cross stitch. No matter the dining room décor, there's a lovely design to fit it. Choose from Italian olives, Staffordshire Tea, chili peppers, and 13 more marvelous motifs. Leaflet - 16 pages by Leisure Arts.